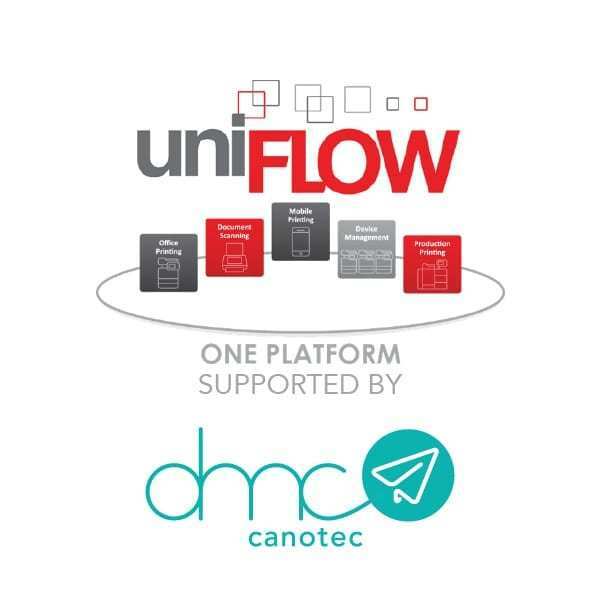 uniFLOW provides a single modular system which comprises office printing, document scanning, mobile printing, device management and production printing. This means, there is only one system the business administrator needs to learn and support. All users, groups, rules, security permissions and cost centres are managed centralised. Office and print room printing costs can be shown clearly in one report. Time spent for maintenance and backup is significantly reduced, because all print, scan and device management functions are bundled in one system. UniFLOW 2018 LTS has a large selection of enhancements focusing on resilience, reporting and the end users’ web client uniFLOW User Web. In addition the “One Platform” has been upgraded to support Canon imageFORMULA Desktop Scanners which are connected via USB. Users can easily scan documents, using the same workflows as with any other scan device, with a separate desktop application – the uniFLOW Desktop Scan Client.